Migrating from Jordan to the United States, the Adyghe people predominantly reside in Russia. Along with Jordan and Russia, they are also found in Turkey, Syria, Iraq, and Israel. They are also known as West Circassian due to their geographic origin being the Russian Federation. 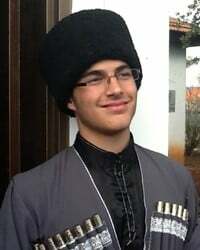 The Adyghe who came from Jordan to the United States maintained their ethnic identity due to the fact that the Adyghe language is taught in a Jordanian School for the Jordanian Adyghes. This school, which was established by the Adyghe Jordanians with support from the late King of Jordan, is one of the first schools for the Adyghe communities outside Circassia. One of the schools major goals is to preserve Adyghe among newer Adyghe generations, while also emphasizing the traditions of the Adyghes. The Adyghe people's primary religion is Sunni Islam, the largest branch of Islam. Sunni Muslims follow the teachings of the Qur'an and consider the first four caliphs to be the rightful successors of Muhammad. Younger generations of the Adyghe people are losing their language and culture. Yet compared to other migrant groups, they tend to maintain close relationships with one another, reinforcing their unique social identity as a people group. Their customs of folk dances that tell stories also tend to reinforce their identity. For Christian messengers to go and become friends with Adyghe, revealing to them the true meaning of faith in Jesus Christ. For God to reveal Himself to the Adyghe through dreams and visions, revealing that God is not only an ultimate God but also an intimate God as found through the incarnation of Jesus Christ. For evangelical Christians in the United States to embrace the Adyghe people with the intent of end-visioning Adyghe becoming followers of Christ.